At Whitefish Point, next to the Whitefish Point Light, and X miles north of the town of Paradise, MI. Lake Superior. Station was closed in 19XX. Buildings sold at auction in 19XX and moved off site. 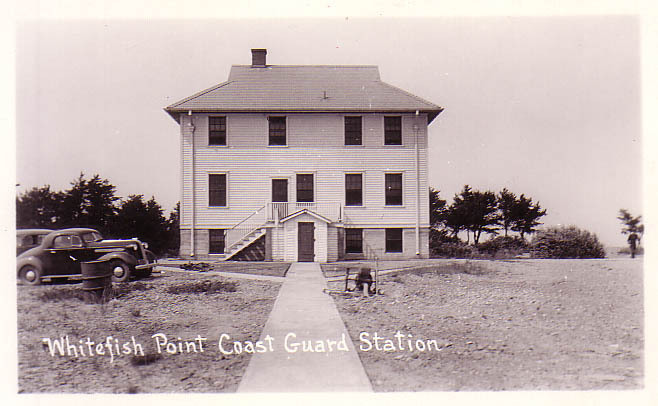 Great Lakes Shipwreck Society purchased the buildings in 19XX and moved the Station House, Surfboat House and Watch Tower back to the site. 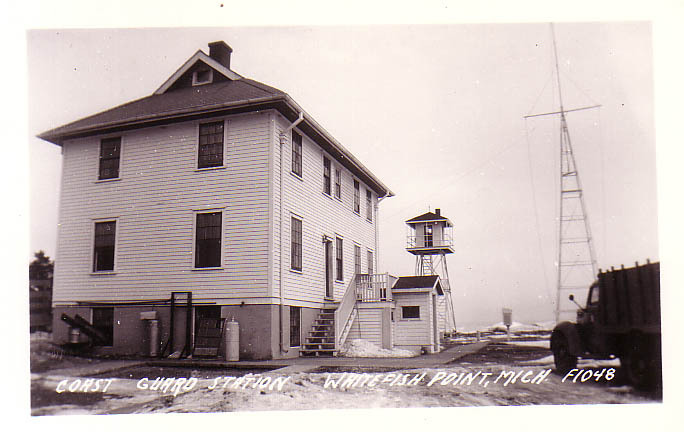 The motor life boat house remains on blocks just south of Whitefish Point at the public harbor in un-restored condition.